The natural inclination may be to cut the advertising budget as it is one of the largest overhead line items and may seem to have little impact on the business model. The best value for the advertising dollar, especially for the small business owner, is on company vehicles. To get noticed today, business owners must think bold and loud. Marketing drives business. Take full advantage of the advertising space you have already purchased. Modern technology has evolved such that almost anything you or your graphic designer can conceive can cover your vehicles. Be sure to have a vinyl car wrap Denver specialist install it. Think of your vehicles as moving billboards. Of the six basic sides of the vehicle, potential clients will see all but the undercarriage as your vehicles travel throughout town; thus, make a dramatic impact on all five visible sides with lots of color to paint a mental image of the quality work your company does. Even an average graphic designer can take your best ideas and make them pop. They have learned how to place images ‘out of kilter’ and to use both dimensions (sometimes with the appearance of using the third dimension) to capture the scattered attention of passers-by. The true sign of success is when the kids in the car next to yours are yelling “mommy, mommy” and pointing your way. Vehicle advertising is much more affordable that it was just five years ago. In many cases, once your design file is saved electronically, the cost for additional vehicles drops significantly as designs only need to be tweaked to accommodate various vehicle makes and models. It helps to shop around at the different vinyl car wrap Denver businesses. Oddly enough, the price is not determined as much by square foot as it is by labor to trim out curves, latches, windows, etc., a concept which may seem contrary to normal business folk. 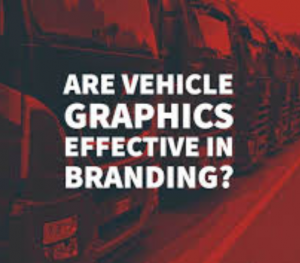 Thus, a large box truck with 8′ x 12′ sides and an 8′ x 8′ rear door can usually be wrapped for less than an SUV or even a typical passenger car due to labor demands. Comparative shopping vehicle advertising to other marketing mediums makes it crystal clear that this is surely the best bang for your hard-earned buck to spread the word about your firm. When you consider that most company vehicles will be used in the company for at least six years, there is really no other type of marketing that comes even close when comparing options side-by-side and adjusting for the longevity of the medium. Advertising is divided into two general categories. Lead Generation are those types of advertising mediums that entice potential buyers to inquire about your firm’s products or services. Awareness mediums are sources that aid in helping the public remember your name. Traditional Awareness mediums are: billboards, web sites, and wall calendars. As you might expect, vehicle advertising does not often make the phone ring. It is easy to prove that awareness campaigns work in general – name the first fast food chain and first soda pop that come to mind. If you said McDonald’s and Coke you join over seventy percent of Americans who have been wooed by those firms’ awareness campaigns (actually, no matter what your answer to the above question, some firm has wooed you). When a potential buyer has been influenced by a strong awareness campaign, they might not remember your firm’s name or product brand when they are trying to decide. As they open the phone book, go on the web, or drive by your storefront, however, they will say to themselves “these folks are good, I will call on them.” In doing so, the consumer will probably not openly realize they have thought so because of your awareness campaign, but they will give you the opportunity to earn their business. Awareness advertising fuels future business and growth. As business owners, we are in a prime position to fill the roads with our logos and what we do or sell.